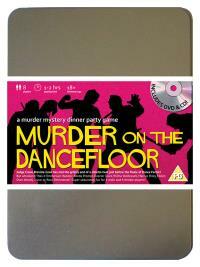 You've been invited to play the role of DAZZLER DUCK in Murder on the Dancefloor. It’s the eve of the final of Dance Factor and the competition is tighter than the male dancers’ leotards. Crane Breville Cowl decides to host a pre-final bash to relieve everyone’s tension and invites the finalists and his colleagues to come along, but all he gets for his troubles is a stiletto heel in the head. Join with us to find out who stepped on Crane’s parade! Cricketer / Celebrity Dancer (his dancing will have you in creases!) Costume Suggestion : Your tuxedo and tails suit pays homage to the ballroom dances your partner excels in – but in case you get into any disagreement you also keep your cricket bat close at hand and have at least one polished red ball in your pocket. You’ve won the hearts of the cricket-watching public and now you're charming the pants off everyone with your fancy footwork. You never thought you'd be any good at this dancing lark, so being in the final is brilliant and you owe it all to Wilma!